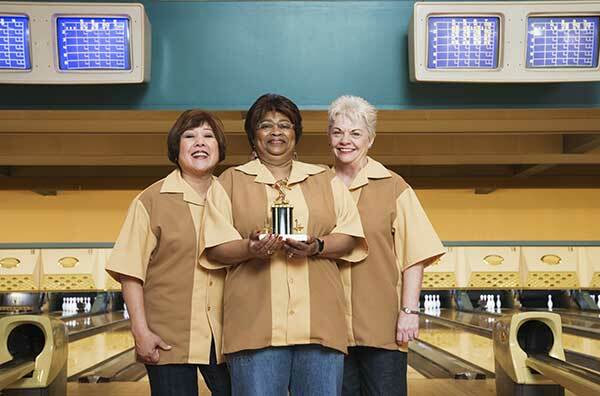 Bowling is a unique sport that brings together both hobbyists and serious competitors. With its low impact physical demands and high skill ceiling – the young, the elderly, and even those with exercise limitations can join in the fun. Add to that the fact that it’s relatively inexpensive (not to mention that you can enjoy a cold beer while playing) means it’s an incredibly popular sport. Bowling itself has become part of Americana, with bowling lanes and teams becoming part of working-class America’s pop culture landscape. These are the most common style of tournaments and usually feature three different events: singles, doubles and team games. In singles events bowlers play against each other for several games, while for doubles two bowlers play together against another pair. 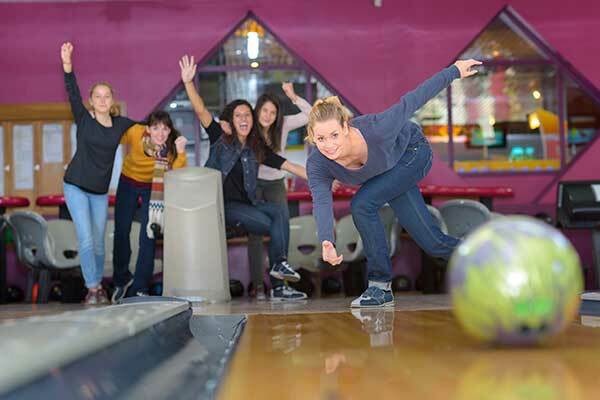 Team events, however, are where a lot of the fun is—there’s nothing quite like getting together with 3 or 4 of your best bowling buds to take down another team. Many tournaments ask players to compete for several games in a row, but once you have to play eight or more games it counts as a marathon tournament. Those can be demanding both mentally and physically, so it’s usually not for beginners or intermediate bowlers. This is because the more games you play on the same lane, the harder it is to bowl—not just because of the player’s own fatigue, but also the wear and tear on the bowling lane itself! Lane oil can get thinner or even shift around to different locations as bowlers keep playing on the lane, meaning plays that worked in the first game will go haywire by the time you’re playing your eighth. This is a unique kind of tournament held three times a year at locations set by the USBC National Men’s and Women’s tournaments. A 40-frame game is a single game with forty frames, each of which requiring different outcomes to succeed. If each frame is completed perfectly, the resulting score can reach 1305 rather than the 300 one would get for bowling a perfect game. This isn’t a very competitive tournament, but participation is high as it’s a good chance to interact with people from all over the bowling world. These tournaments feature higher-skilled bowlers because of one reason: prize bigger payouts. High roller tournaments like these can feature games with first place payouts of $50,000 or more. They’re considered the upper echelon of amateur bowling and feature a re-qualifying process where players can earn the right to compete in the finals many times over the course of the entire tournament. Competition in these is fierce! 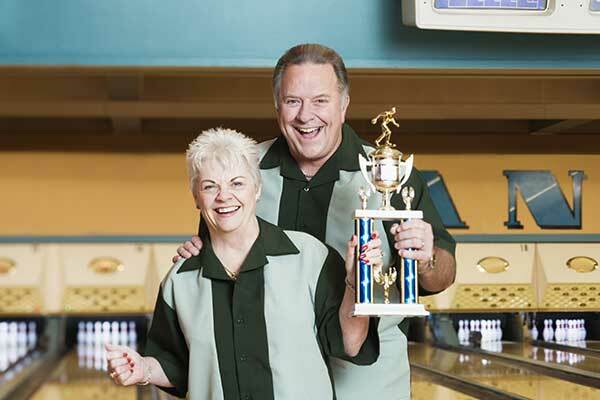 One thing that all bowling events or tournaments have in common is the prizes. It can’t be overstated how important these are for even beginner or intermediate leagues and tournaments. If you’re looking to start your own league or tournament, having rewards at the end of the day is key to getting people to participate again and again—people love getting recognized! It doesn’t even need to be recognition for great achievements; some of the best trophies that you can give out are joke trophies or booby prizes. One thing to keep in mind is that the prizes and trophies should be personalized to fit your particular group of players—you can make your rewards impressive and elegant if you’ve got serious competitors, or you can make them funny and endearing if you’re just playing for fun. Either way, the rewards your participants get will ensure that they have fond memories of their time playing with you, and that’s what really matters. 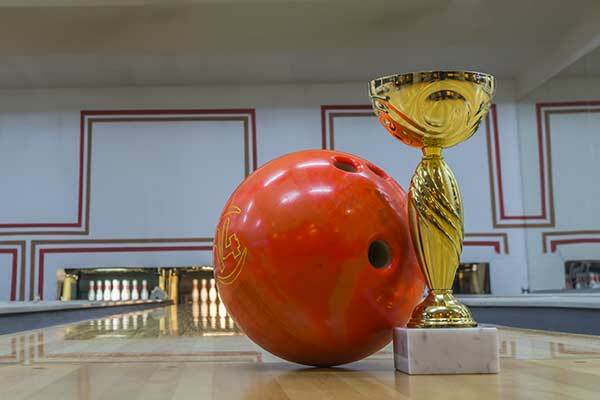 To help your players remember a great bowling tournament, Great Lakes Trophies & Engraving is happy to provide you with a wide array of customizable trophies, medals, and awards. Get in touch with us at 734-266-1815 or fill out our online contact form so we can tell you more about what we offer.